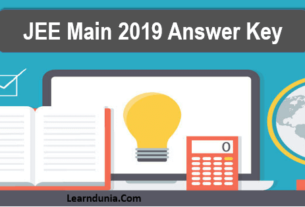 Are you looking to apply for JEE Main 2019, If yes then you want to prepare for JEE Main very carefully and does not want to keep your foot wrong. This happen because of the competition level is to high and there is no place to do mistakes. In this examination if you want success then you need to do something better or go through with a very good plan. As there are three sections in JEE Main Examination, in these Chemistry is one of the section where you can score pretty well marks. As per aspirants points of view each and every marks have really importance. So you need to go through with a strategic plans. JEE Main Chemistry preparation tips will give you an idea about the important topics, syllabus, exam pattern and the study material by which you need to go through. To get admission in IITs, NITs and GFTIs you need to take each and every steps carefully. Through this article you will get complete JEE Main Chemistry Preparation Tips. NTA is the conducting authority of JEE Main Examination. JEE Main will be conducted twice from this year. Those who want to appear in the JEE Advanced exam for admission to IITs they need to to clear JEE Main 2019. Selecting the best books will give you the best approach through you will save your lots of time. Many students are wasting their time because of going too many study material and does not get the right solution. Try to always starts with NCERT books; in these books have brief information about basics, once your basics will be cleared you may check some other reference books. As there are too many writers try to find-out that which one suits better to you. Many students try to cover all the syllabus but forget focusing on the basics. Always try to focus on basics. Once you basics goes strong it will give you advantage in JEE Main Exam. Do not try to learn from a lot of books, always try to get from one single books for basics and for numerical section once you have prepared your basics attempt any questions. Starts early preparation will give you a chance to improve your weakness after covering the whole syllabus. Once you covered whole syllabus then you need to evaluate yourself through the help of mock test, previous year questions. Once you will attempt them then you will get that where is you preparation level. How to Crack JEE Main Physics Section? How to prepare for JEE Main Mathematics Section? They have basics and they are authentic, reliable. It is helpful study materials. After each chapter there is a summary box from them you can revise your chapter. These are the basics of each books. They also formed class 12th syllabus which will helps you for preparing both the exam in similar time. Solving practice papers and previous year questions papers will give you an idea about the difficulty level of the examination and exam pattern. This is the smartest tips where students have gaps in their preparation. Whenever you are trying to prepare try to speed up your question solving technique as well as improve your accuracy.